Florida ranchers know Tropical Soda Apple (TSA) as the “Plant from Hell”. 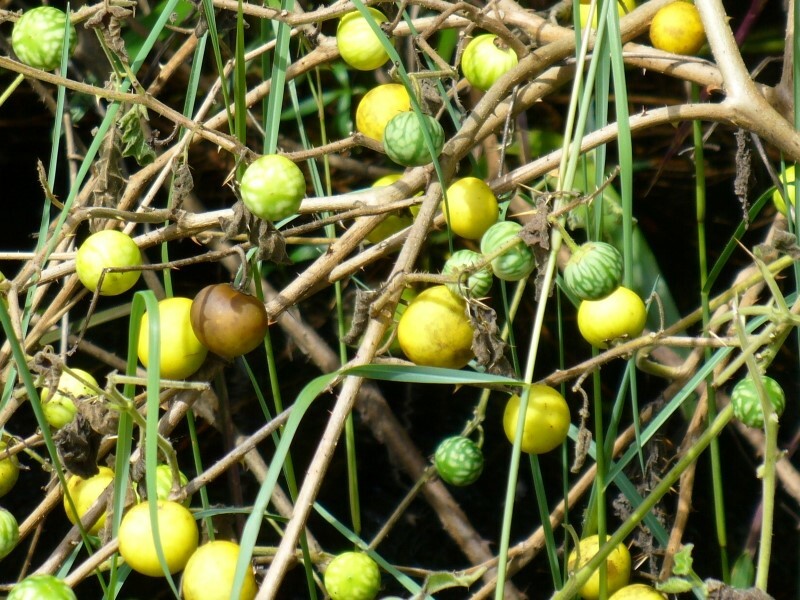 It was first noticed in south Florida, but its seeds survive in the digestive tract of animals and it spread north through the movement of hay and cattle. TSA plants are covered with thorns and can make large sections of pasture nearly useless for livestock. Concerted efforts to lessen the population of TSA since its arrival have reduced the populations in pastures but it persists in sheltered or waste locations. Cattle, birds, deer and feral hogs ingest the mature fruits and spread the plants to loafing and browsing areas that may be inaccessible to mechanical treatment with anything larger than a hoe. 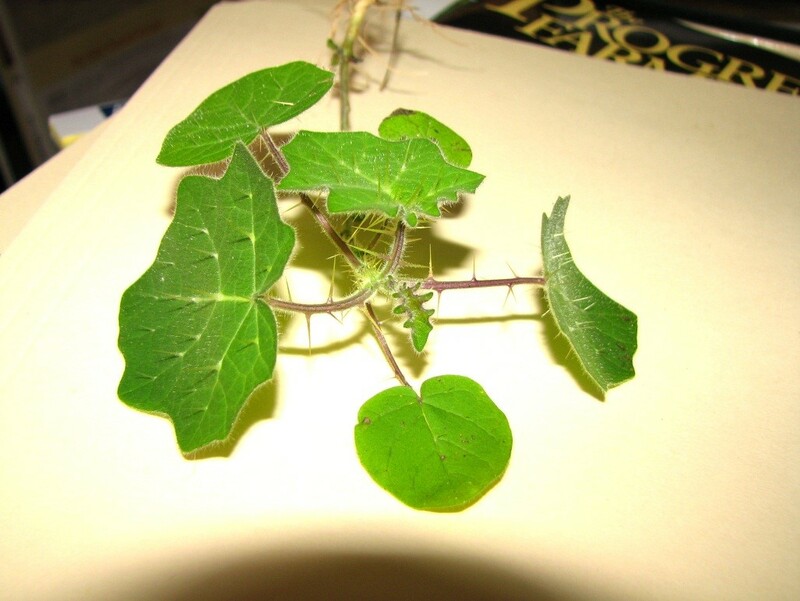 According to Dr. Jeff Mullahey, who has been working on TSA since its appearance in south Florida, one plant can produce 40,000-50,000 seeds with seed germination ranging from 75%-100%. The seeds remain viable for at least three years. Be on the lookout for these while engaged in outdoor activities. Isolated plants can be controlled by mechanical means. You won’t want to pull them up barehanded, though. Additional information and control methods are available at http://edis.ifas.ufl.edu/uw097, or contact your local Extension agent.